The Ker-Bear Roll! A fun discovery during Girls’ Night Out. I was hoping to add a post or two from outside of the greater Detroit area, but I really haven’t been traveling for work lately. It’s kind of a bummer, and I miss traveling to see coworkers across the nation, but that’s the deal with respect to my current role. Hopefully, I’ll still be able to get to South Carolina (CLEMSON!) and to Singapore (for fun) this fall! At least then I can mix things up a bit! In the meantime, if you’re interested in contributing to http://www.sheorderedwhat.com, please feel free to shoot me a note, tweet, Facebook post, etc. I’m happy to oblige! A couple of weeks ago, the girls who were featured in my first post came into town for a visit. Megan and Sharon (who was also featured in this post) have been really good friends of mine for many years. We’ve had tons of dinners together – at each others’ homes, and out on the town. 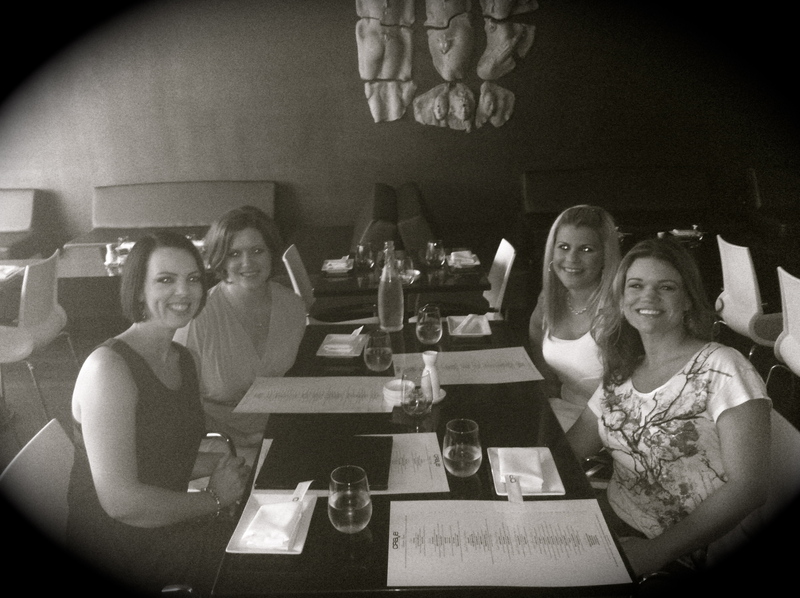 In the picture above, counterclockwise: Sharon, Ker, Megan, and Dana (local friend). 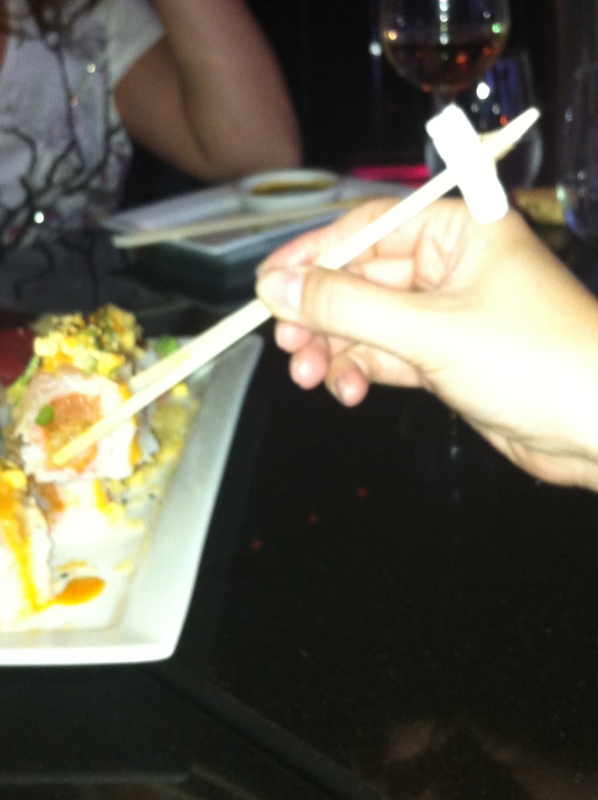 That Saturday night, Sharon agreed to “take one for the team” to support Megan’s craving (pun intended) for sushi. So, I made reservations at Crave Lounge in Dearborn. Sharon has never been a fan of sushi, and in particular, the nori (seaweed) used in making maki (rolls). She figured some of the small plates Crave offers would be just fine for dinner – trooper that she is! 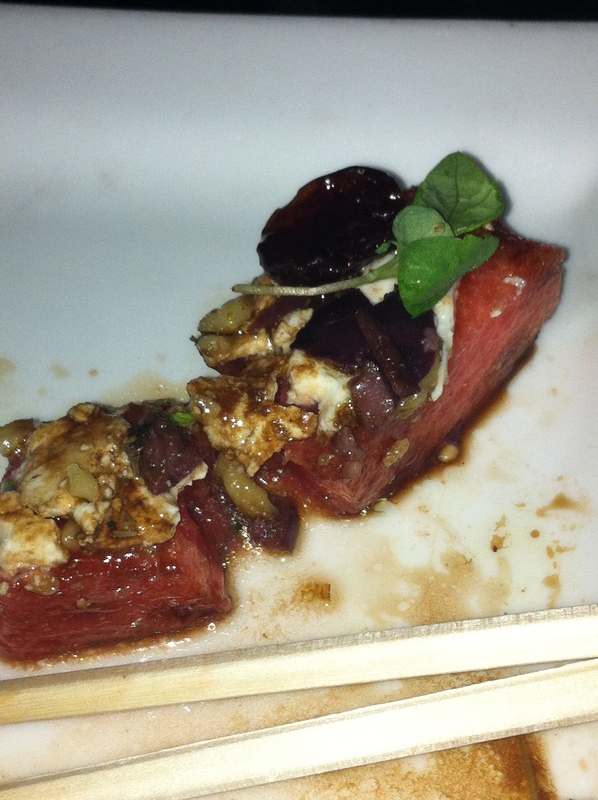 We started off with one of my favorite appetizers, the Watermelon Napoleon (three time award winner + healthy choice award, consisting of seedless watermelon, French feta, toasted walnuts, Michigan tart cherries, organic Mediterranean olives, Mediterranean micro herbs, organic olive oil, and Balsamic vinaigrette). I’ve made my own versions of this dish at home when I want a tasty, yet light meal. We also munched on edamame (doesn’t everyone do that at a sushi joint?) 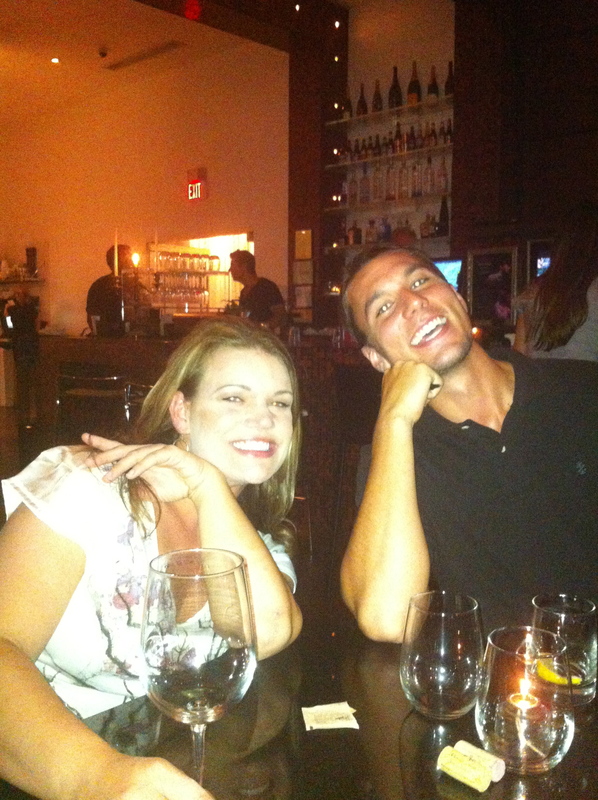 while chatting, laughing, and giving our server, Phillip, a complex! When he came back to take our dinner order, we decided to try one roll with soy paper rather than nori, to see if Sharon would like it. Our other friend, Dana, has an aversion to soy, so we had to balance things out. 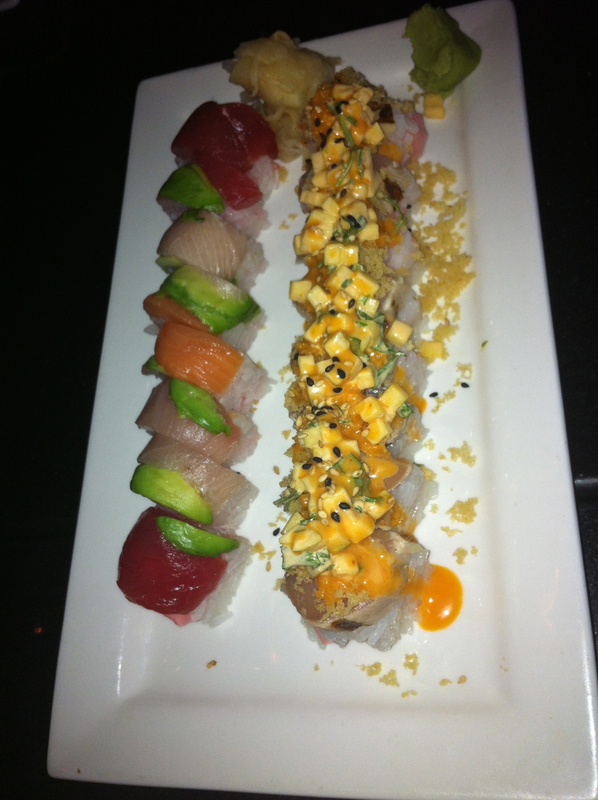 Note: Phillip did not charge us for the first substitution, but soy paper is typically a $1 up charge per roll at Crave. At Phillip’s recommendation, we ordered a couple of “off the menu” rolls. To the left is the “Crave Roll” (made w/ traditional nori) and on the right is the “Care Bear Roll” (affectionately, renamed the “Ker Bear Roll” and made with mamenori (soy paper). As you can see, I’m never quick enough to catch a photo before we dig right in! 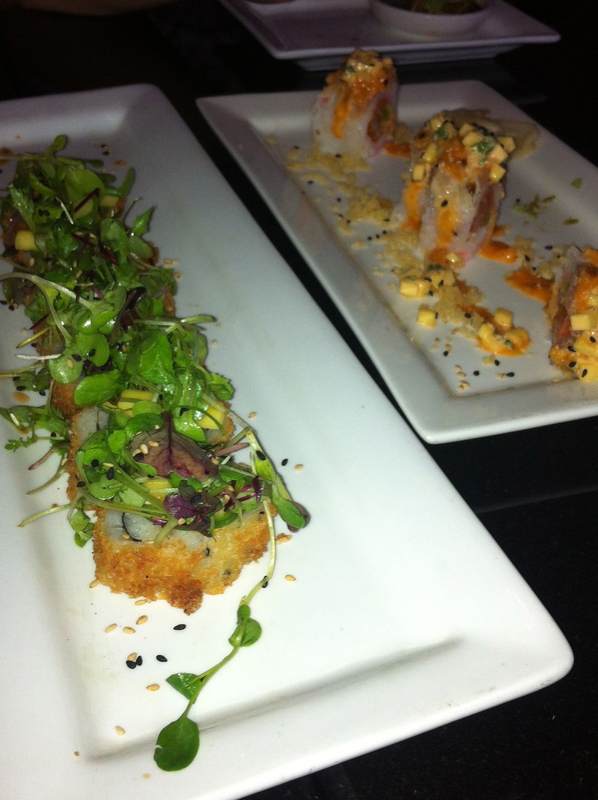 The Crave Roll is basically a fried California Roll, with light seaweed on top, seared Ahi tuna , jalapeno, Wasabi aioli, and a sweet drizzle. We all enjoyed the roll, including Sharon – who couldn’t taste the nori. Great flavors, folks! Yup, folks. 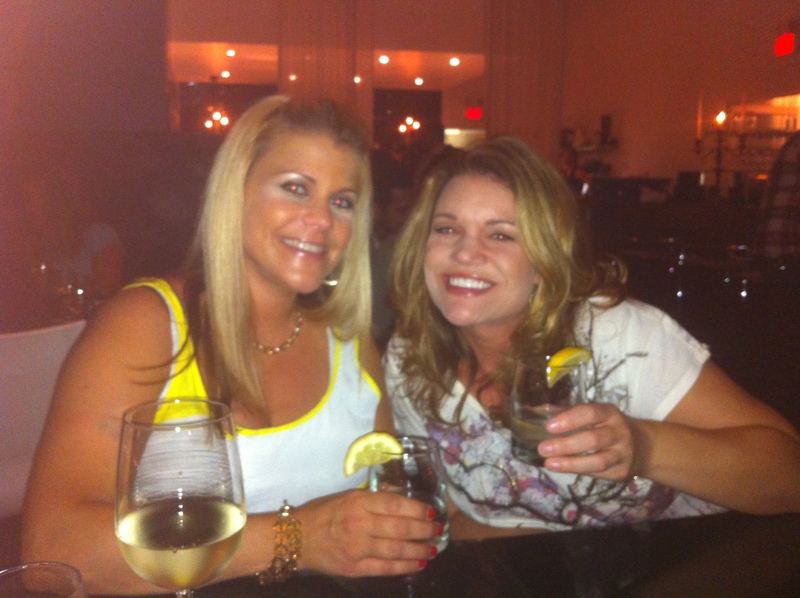 Those are lemon drop shots in their hands (and their wine in the foreground!). Just the start of the evening for these two crazy ladies! And, I love them for knowing that Sharon and I wouldn’t “hang”, so we were better off at home later that night, and into the next morning! I’m a fairly regular customer at Crave Lounge (though I don’t frequent it as much as I’d like to! ), and I’ve never left disappointed. This night, however, was particularly enjoyable because we tried some new rolls, we had a delightful server, we chatted with the management (great people! ), and we were amongst dear friends.